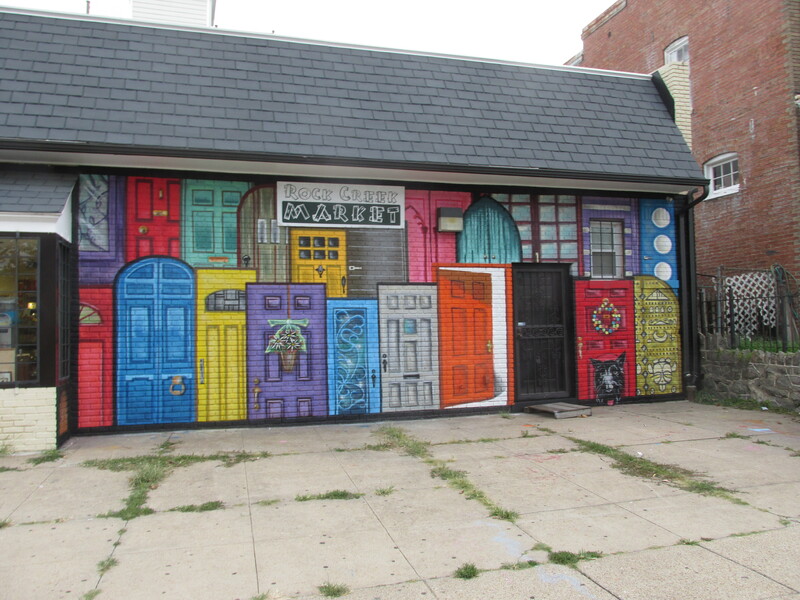 Park View’s New Mural, “The Doors of Perception”, Completed | Park View, D.C. The mural at the Rock Creek Market appears to be finished. I first reported about the mural on September 2nd, and you can see what it looked like then here. The mural is part of the MuralsDC program and the artist is Juan Pineda, and according to him, the title is The Doors of Perception. 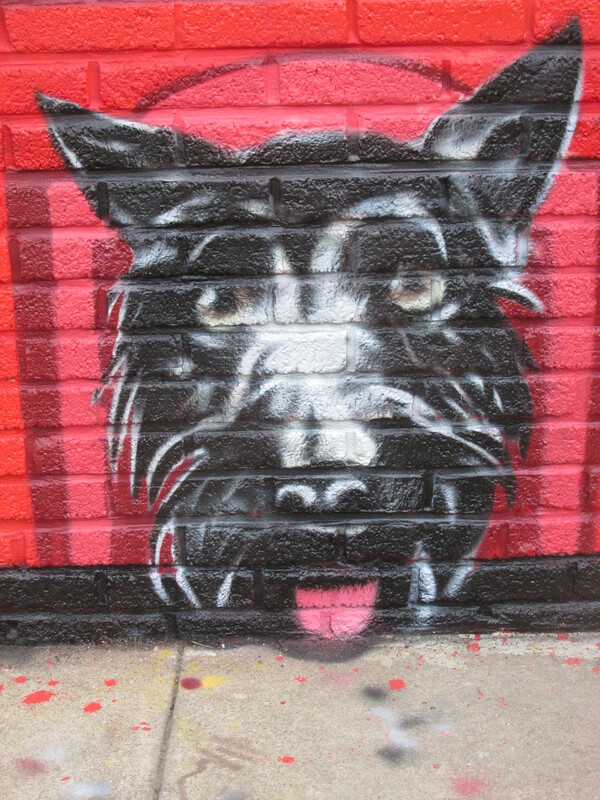 As a dog person, I was particularly taken by the portrait of the Scottie, which you can see in the lower right corner of the mural above, or just look at the detail below. This entry was posted on September 9, 2014 at 1:01 am and is filed under Art. You can subscribe via RSS 2.0 feed to this post's comments.